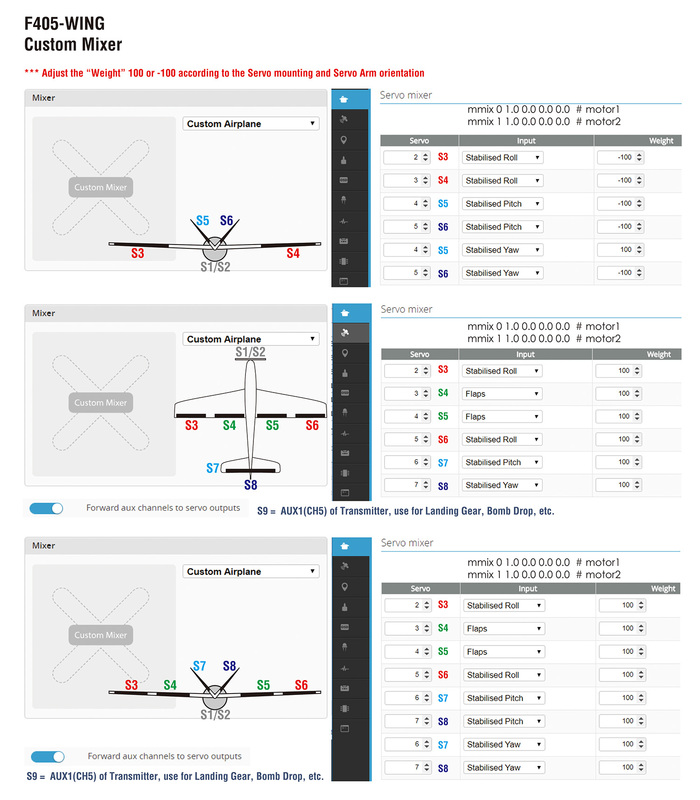 Matek has released another Flight Controller – F405-WING. This time it is designed specially for fixed wing. 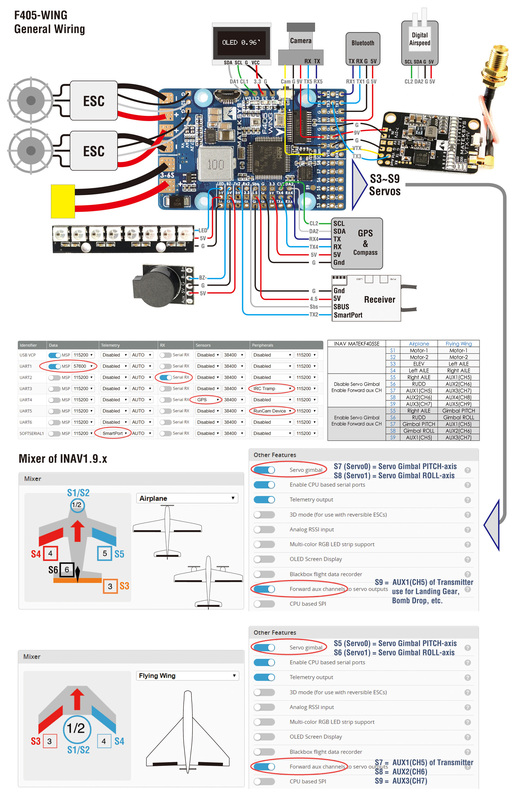 It is hard to list all the features and connections of this FC. 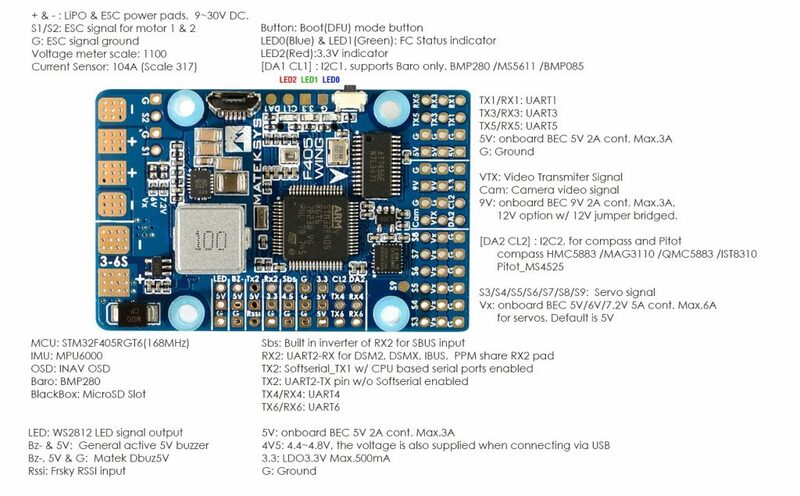 Some of the highlights: 168MHz F405 MCU, OSD, 6x hardware UARTs, 2x Motor and 7x Servooutputs, BMP280 (I2C) baro on board, PDB with current, voltage sensors, 5V, 9V and 12V BEC, also 6V or 7.2V selectable via jumper, +5V supports 6A of current.